The UK Government’s proposed Brexit deal with the European Union has been rejected by Parliament in a resounding defeat. The margin was 230 votes, including 118 Conservative MPs voting against their own leadership. In the aftermath of the vote, the leader of the opposition tabled what’s known as a “vote of no-confidence” in the government. 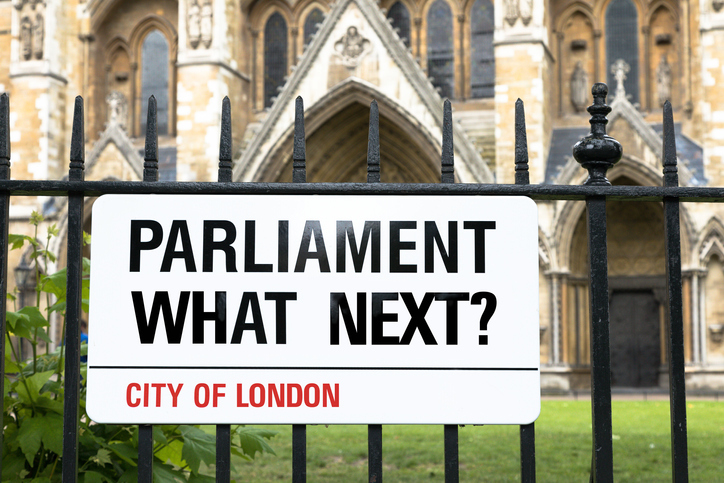 This vote could result in a new Prime Minister – if Theresa May resigns following a lost vote – selected from the ranks of Conservative MPs, a continuation of the current Government, or a General Election in the UK. It appears that the Government will probably survive, supported by the Democratic Unionist Party of Northern Ireland. So, what’s next in the Brexit saga? SPOILER ALERT: None of this provides any certainty to anyone – the public, trade community, or even the authorities. The prudent approach is to plan for a worst-case scenario – border formalities where none exist now, additional customs duties, massive delays, and more. BluJay Solutions provides you with both the software and the knowledge to help you introduce mitigation strategies that can help take the fear out of the uncertainty. Visit our Brexit resource center for the latest in Brexit updates. You can also talk with us in person at the upcoming SOAR Summit 2019, 12-13 February in Venlo, NL, where Brexit will be a key topic. Or contact us now. Lorenzo Rossetti is Business Product Owner, overseeing Customs solutions in the UK for BluJay. He has spent his entire career in the UK customs world, including 17 years as Customs Development Director for Grosvenor International, now a BluJay Solutions company.